Snow peas are easy to grow and you can either grow them for the pods or for the snow pea shoots, both which are a wonderful addition to stir fries. These are a cool season crop and prefer a temperature range from 12 C – 20 C (55 – 70 F). You can plant them down to 5 C (41 F) however growth will be slower. Temperatures higher than 25 C (78 F) tend to lead to tougher pea shoots and pods and poor growth habit. Different varieties have different qualities, the taller growing types such as Yakima will generally have tender shoots which makes them great for both the shoots and the pods. The dwarf varieties are not as suited for using for the shoots. 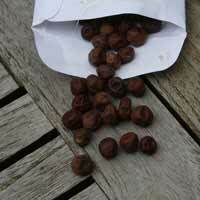 The snow Pea Seeds can be sown directly into the garden, or started in containers. Both methods have their advantages. Growing snow peas from seed is simple in the right climate. Snow peas prefer a cool moist climate, so the winter in the Southern states Australia is ideal. Other Information. Snow peas do require some support. They are similar to other peas but with an edible pod and can be eaten raw in salads or cooked in stir fry. Snow Peas are a favorite in asian cuisine used widely in stir fry dishes. A well drained humus rich soil with a climbing frame is best. Pick them when they young and juicy. WHEN DO I PLANT SNOW PEAS ? In the late autumn (while the soil is still warm) or winter. Flowers will start to form when the weather warms up a little. In cooler climates from August to October, this suits Tasmania and the cooler highlands of Victoria and New South Wales. In sub tropical areas try from April to July. All peas like a slightly alkaline soil with a pH 5.8 – 6.8 for ideal conditions. Lime can be added to adjust ph however most soils with some well rotted compost and manure added 2-3 weeks before planting will be OK for snow peas. Snow peas are a climbing pea so they will need a frame to climb on, as young plants are tender we suggest putting this in place before planting the seeds to prevent damage. A simple sturdy frame made from wire, trellis or bamboo around 1.5 to 2m tall will do the job nicely. We generally plant seeds directly to the soil and then thin out a little if we have to many, and as germination is usually good we sometimes replant the excess seedlings in another part of the garden. Plant seedlings at 10 cm intervals. Seeds can be planted closer and then pricked out to an appropriate distance. Snow peas do not seem to require a lot of fertilizer. Once the seeds germinate give them a hand to start the climbing process by attaching them to the frame, once they get going they will do the rest. Given a sunny position and adequate water snow peas will need little care, good air flow is important and we use a vermicaste tea from the worm farm as fertilizer once every two weeks to give them a boost. Humid conditions are one of the few problems, however if you are planting in autumn this should not be an issue. Snow peas need a well dug loose soil to germinate well. They need too be kept moist, however be careful not to over water. The seedlings are very fast to germinate, most will show signs of growth in 1 week. If you are growing them in containers, they will be ready to plant out in around 4 – 6 weeks. We wait until they have 4 – 5 sets of leaves. Prepare the soil well before planting, dig in some compost and organic fertiliser such as vermicast, leaf gold or other. Dig in some Bone meal or ‘Blood and Bone’ to improve the nitrogen level which peas do appreciate. 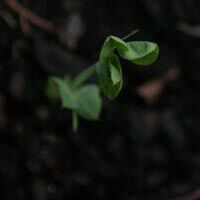 Planting distance will depend on if you are growing the snow peas for the shoots only or for the peas as well. If you are growing for the shoots, the plugs can be planted closer together. After planting out, water them in with a liquid seaweed fertiliser. The taller varieties can reach 6 ft in height, dwarf varieties around 1/2 this. You will need to put an appropriate trellis in place. As the peas begin to grow, you will need to help then find the trellis so that they climb. Once they are attached to the trellis they tend to grow a little faster and are easier to pick. You can use any sort of trellis. Bamboo stakes are easy and cheap and you can use twine to run horizontally to provide extra support. Once the pea plants are around 2ft tall (60cm) you can begin picking the shoots. This will encourage side shoots. As the temperature warms up, the peas will begin to flower. Its time to stop picking the shoots and let the pea pods form. April to sept in temperate regions. In cooler areas from august to september. Warmer /sub tropical april to july. Grow from seeds or seedlings started in biodegradable plantable tubes. Protect from snails and mice with a plastic bottle, bottom cut off over the seed/seedling until established. You can pick the shoots once they reach 60 cm (2 ft) in height. As soon as they are large enough to eat, the smaller the sweeter, pick them in the cool of the morning. And once the crop has finished, chop up and dig in the plant as a gene manure, or compost them. Watch out for snails, and give the young seedlings a hand in finding the support frame, but don’t break the stems….. 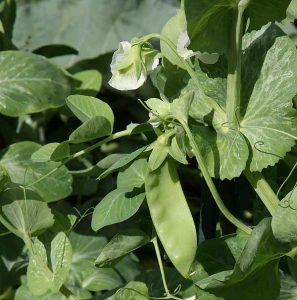 Snow peas can be planted from April right through to October and are ready to harvest within 10 – 12 weeks. Yakumo Snow Peas are one of our favorite varieties, really pretty purple flowers followed by large flat snow pea pods. They are tender and sweet, especially if picked young, great for salads ( unless you eat them before you get them inside). Carouby de Maussane snowpea produce very large pods, however seeds are not generally available in Australia. Mammoth Melting snow peas is another with large pods, heavy cropping. Greenfeast, Telephone and Massy Gem are other snow pea varieties to consider. After two weeks our Snow Pea Seedling have just germinated and are ready for a climbing frame.